Dr. Robert J. Thompson is an historian specializing in U.S. military history. Dr. Thompson received his Ph.D. in U.S. History from the University of Southern Mississippi in December 2016. His area of expertise is the Vietnam War, with considerable attention on the relationship between conventional warfare and pacification. A proponent of province studies, he writes extensively about the Vietnam War as it unfolded in Phu Yen Province–exemplified by his dissertation “More Sieve Than Shield: the U.S. Army and CORDS in the Pacification of Phu Yen Province, Republic of Vietnam, 1965-1972.” Aside from writing for The Strategy Bridge, he is participating in a series on the Vietnam War in 1967 for the New York Times. He is a frequent presenter at annual meetings of the Society of Military History. 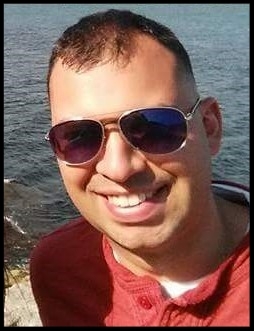 Dr. Thompson is a former recipient of the Hoover Institution Library and Archives Silas Palmer Research Fellowship (2015), the U.S. Army Center for Military History Dissertation Fellowship (2015-2016), and the Society of Military History Russell F. Weigley Graduate Student Travel Grant (2016). No, he is not related to Sir Robert Thompson. Follow Dr. Thompson on Twitter @_RobThompson. Dr. Pauline Shanks Kaurin holds a PhD in Philosophy from Temple University, Philadelphia and is a specialist in military ethics, just war theory, philosophy of law and applied ethics. She is Associate Professor and Chair of Philosophy at Pacific Lutheran University in Tacoma, WA and teaches courses in military ethics, warfare, business ethics, social and political philosophy and history of philosophy. Recent publications include: "When Less is not More: Expanding the Combatant/Non-Combatant Distinction," "With Fear and Trembling: A Qualified Defense of Non-Lethal Weapons," and Achilles Goes Asymmetrical: The Warrior, Military Ethics and Contemporary Warfare. You can find her on Twitter @queenofthinair. Jason Koxvold is a widely published photographer based in Brooklyn, NY with a focus on neoliberal economic policy and military strategy. He holds a BSc in Social Science from the University of Edinburgh, Scotland, and has worked in every corner of the globe, from Arctic Russia to South Africa, China to Nigeria; his most recent deployment was with Operation Resolute Support in Kabul and Bagram. You can find his work in magazines including Newsweek Japan, Wired, Slate and National Geographic Traveler. See Jason’s photographs at koxvold.com and follow him on Twitter at @jkoxvold. Mark Gilchrist is a serving Australian Army officer and graduate of the Australian Command and Staff College (Joint). He has served in a range of command and staff appointments. Mark holds a first class honours degree in History from the University of New South Wales and is working towards a advanced Masters through the Australian National University. He is passionate about professional military education and the role of history in understanding the profession of arms. You can follow him at @Gilchrist_MA. J.P. Clark is an army officer and historian. As a soldier, J.P. has served as an armor officer and in the strategic plans and policy career field, including in Iraq, Germany, Korea, the Pentagon, and on the British Army General Staff in London. As a scholar, J.P. is fascinated by the topics of military adaptation and professionalism, which are the main focus of his book, Preparing for War: The Emergence of the Modern U.S. Army, 1815-1917. His work has also appeared in Parameters, Military Review, British Army Review, The Three Swords, War on the Rocks, Strategos, and Armor Magazine. He is a member of the Military Writers Guild and a graduate of West Point (B.A. ), and Duke University (M.A. and Ph.D). You can find J.P. on Twitter @JPClark97 or his website. Steven L. Foster is an officer in the U.S. Army with extensive experience in logistics, and a current emphasis in operational and strategic planning. He is currently serving as a strategic planner, and holds a Master of Public Policy with emphasis in National Security Policy from George Mason University. Steve's interests include policy, strategy, and history, and has been a regular contributor toThe Bridge. He also has experience in the private sector in business management and a strong interest in leader development and talent management. Follow Steve on Twitter at @slfoster22. Olivia A. Garard is an officer in the United States Marine Corps. She holds an A.B. in Philosophy from Princeton University, and an M.A. in War Studies from King’s College London. Clausewitz tends to bind her motley thoughts together. She is an associate member of the Military Writers Guild. Follow Olivia on Twitter at @teaandtactics. Brett A. Friedman is an officer in the United States Marine Corps Reserve. He's the editor of 21st Century Ellis: Operational Art and Strategic Prophecy and On Tactics: A Theory of Victory in Battle (forthcoming May 2017) from the Naval Institute Press. Brett holds a B.A. in History from The Ohio State University and an M.A. in National Security and Strategic Studies from the U.S. Naval War College. He is a Founding Member of the Military Writers Guild. Follow Brett on Twitter @BA_Friedman. Diane L. Maye is a visiting assistant professor at John Cabot University in Rome, Italy, an external research associate with the U.S. Army War College, and an affiliated scholar at George Mason University. She has taught undergraduate courses in International Relations, American Foreign Policy, and Political Islam. She writes on issues that involve security and governance in the Middle East, U.S. defense policy, and national security strategy. Prior to her work in academia, Diane served as an officer in the U.S. Air Force and worked in the defense industry. Follow Diane on Twitter at @dianeleighmaye. Robert Y. Mihara is a strategist in the U.S. Army with experience in institutional strategy and education. Robert is a graduate of the U.S. Military Academy at West Point and holds an M.A. in U.S. History from Texas A&M University. From 2007 to 2010, he taught courses at West Point on general military history and the history of irregular wars. In addition to The Bridge, Robert has published numerous articles and blog posts on strategy and international policy with Infinity Journal and E-International Relations. He can be found on Twitter @mihara99. Steve M. Leonard is a retired U.S. Army strategist and the creative force behind Doctrine Man!! A career writer and speaker with a passion for developing and mentoring the next generation of thinking leaders, he is a founding member of the Military Writers Guild and a regular contributor to the Atlantic Council’s Art of Future Warfare Project. Published extensively, Steve’s writing focuses on issues of foreign policy, national security, strategy and planning, leadership and leader development, military history, and, on occasion, fiction. An alumnus of the School of Advanced Military Studies, he led the writing team for the 2008 edition of the Army’s capstone manual, FM 3-0 and the interagency team that authored the U.S. Army’s first stability operations doctrine. He is the author/artist of four other books and is currently developing a graphic novel that will debut in December 2016. Follow his writing on The Strategy Bridge or his personal blog, The Pendulum, and on Twitter at @Doctrine_Man. Dr. Everett C. Dolman is Professor of Comparative Military Studies at the US Air Force’s Air Command and Staff College (ACSC). His focus is on international relations and theory, and he has been identified as Air University’s first space theorist. Dr. Dolman has a varied career, including serving at the National Security Agency and the United States Space Command before receiving his PhD in Political Science from the University of Pennsylvania in 1995. He has taught at The College of William & Mary, Southern Illinois University-Edwardsville, and Berry College before taking his current position at Maxwell AFB in Alabama. His published works include Astropolitik: Classical Geopolitics in the Space Age; The Warrior State: How Military Organization Structures Politics; Pure Strategy: Power and Principle in the Information Age; and Can Science End War? He has written numerous book chapters as well as articles for the Journal of Strategic Studies, Comparative Strategy, Journal of Small Wars and Insurgencies, Soviet and Post-Soviet Review, Citizenship Studies, Politics and Society, Journal of Political and Military Sociology, and Air and Space Power Review. Dr. Dolman is also co-founder and editor emeritus of Astropolitics: The International Journal of Space Power and Policy. Follow Dr. Dolman on Twitter at @DrDethray. Roger L. Misso is a naval officer, aviator, speechwriter, and currently a student at the John F. Kennedy School of Government at Harvard University. He serves as Vice President of the Center for International Maritime Security, an associate member of the Military Writers Guild, and a disciple of the Defense Entrepreneurs Forum. He was a member of the Secretary of the Navy’s Task Force Innovation and an active conductor of the Navy’s underground innovation efforts. He has written extensively for CIMSEC and the United States Naval Institute on topics such as innovation, organizational change, command and control, and personnel reform. Follow Roger on Twitter at @rogermisso.